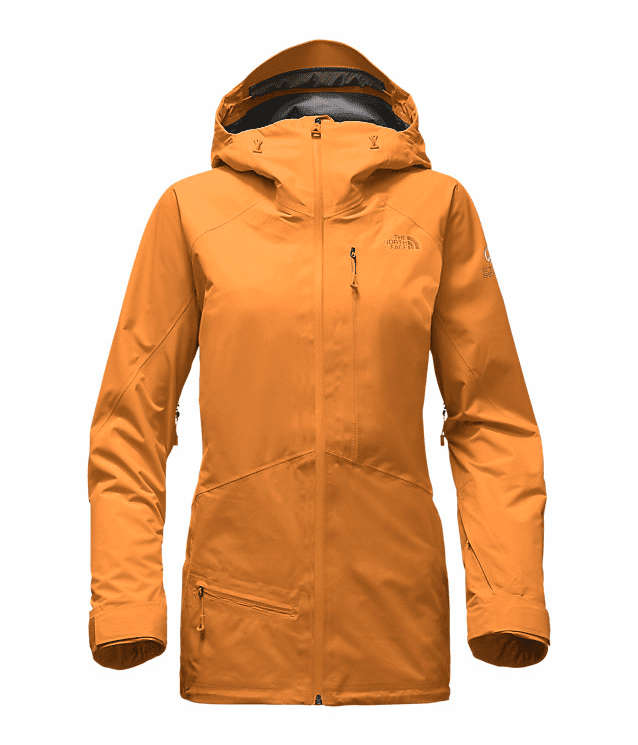 When it comes to wet, heavy snow days I turn to The North Face Women’s Free Thinker Jacket to keep me protected. The North Face Free Thinker is within the Steep Series, meaning it was designed for big mountain, full day adventures. 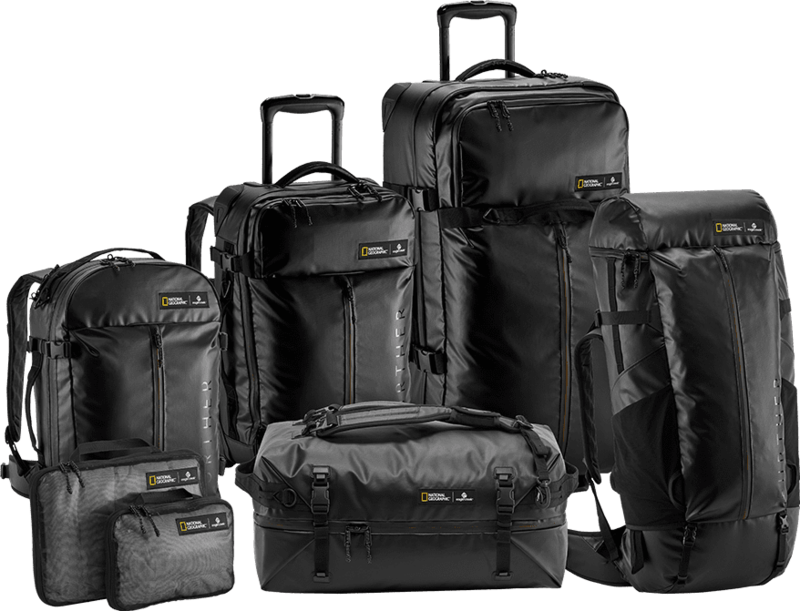 TNF has incorporated the highest quality fabric, GORE-TEX® Pro 3L which is waterproof, breathable, and extremely durable. 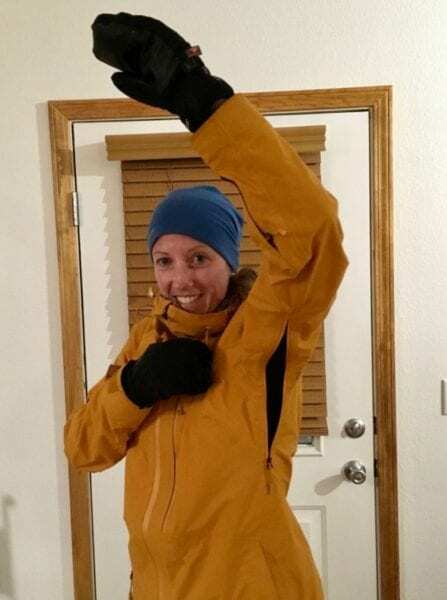 I’ve been testing out the Free Thinker Jacket in a variety of conditions, including the most recent storm cycle that brought us 30″ to town in the past two days. The jacket is fully seam sealed and is abrasion resistant. The jacket looks like new despite being in use everyday for the past month. 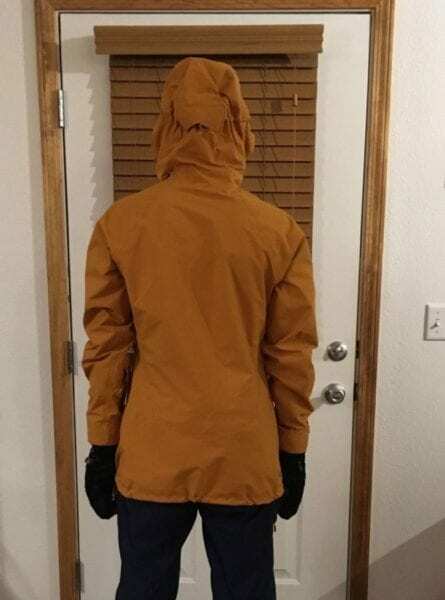 The North Face Free Thinker Jacket is a shell that can be worn by itself when skinning or exerting yourself in the backcountry or layered over a light down or synthetic layer. The generous fit allows me to put an 800 fill down jacket underneath for the coldest of days. 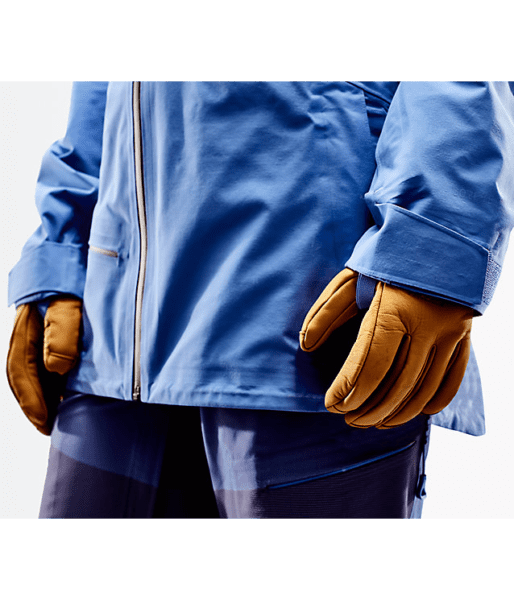 If you are wearing this jacket on the up, you can quickly eliminate heat build up with the two generous pit zips or unzip the center zip that is easy to grasp with gloves or mittens. Some may prefer to have a two way center zip to allow you to access your bibs or pants pockets, but I tend to have bad luck with two way zips and get them caught or jammed. 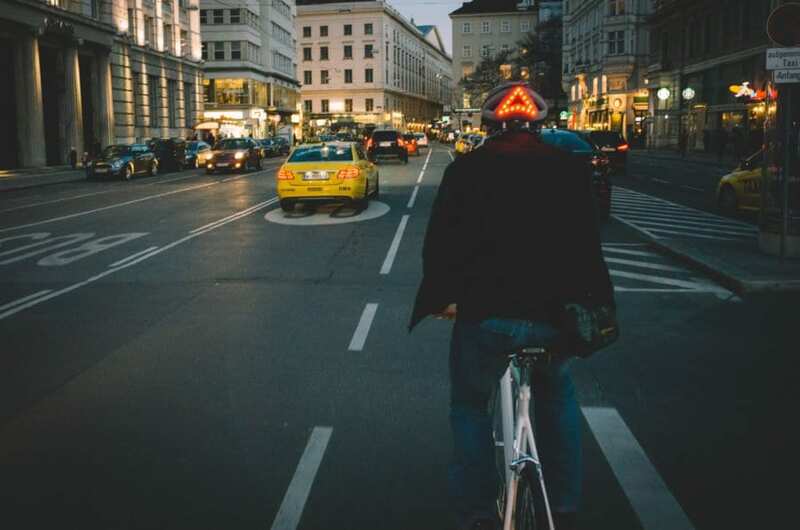 The Free Thinker Jacket features a fully adjustable hood that is helmet compatible and fixed to the collar. As a result, the collar stays high when the jacket is zipped up fully, which is excellent for weather protection. Fortunately, on the inside of the collar there is a large area of gray fleece that is soft to the touch and fortunately not the same color of the jacket. I like the darker color as it helps to hide all the junk that normally turns the inside of my coat collars interesting hues. TNF Free Thinker in Stellar Blue the powder skirt is burgundy and features a wide, stretchy band that moves with you. 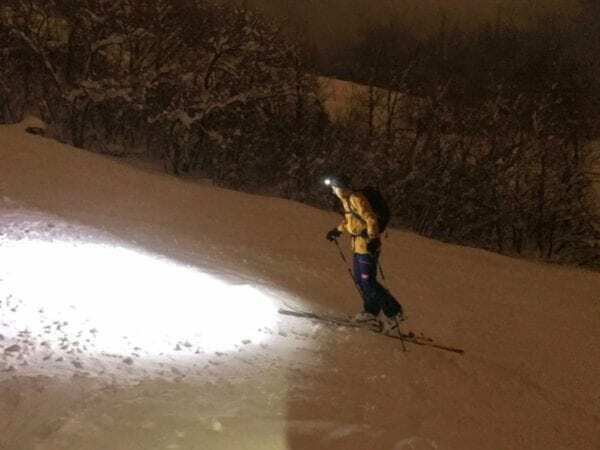 For powder conditions, there is a stretchy powder skirt that isn’t cumbersome or mobile, like many others I’ve tested. Rather, the powder skirt stays put along my pants and features hooks along the bottom that can clip onto your pants for added security. The folks at TNF thought of everything in terms of storage compartments for this jacket. Here is a run down of the 8 pockets in the jacket, yes 8! There is an internal, aka pocket within a pocket, water resistant insulated phone pocket that accommodate even an iPhone 7 along the right chest. When the phone is stored here, it doesn’t interfere with pack straps or beacons and doesn’t jar up and down when you are skiing. The insulation helps to keep the phone from getting too cold and turning off. There is a small diagonal front zip pocket on the right hip. I have yet to figure out what I want to use this pocket for. If at the resort, perhaps my RFID ski pass? The left sleeve features a zippered compartment with an integrated goggle wipe. There is a large vertical zip pocket on the left chest that can carry a radio, such as the BCA Link radio which we have also tested. Once again, the location of this pocket is ideal as the sternum and hip straps of a pack straddle the pocket position. On the outside there are two hip zip pockets, one on each side that rides below the back and you can easily access these without removing a pack. Lastly, but not least, there are two mesh pockets inside the jacket, one on each side. These can be used for extra liner mittens or in my case a second Buff. TNF Free Thinker Jacket is relatively packable. The jacket started out stiff, but has loosened up overtime without sacrificing performance. I keep this jacket in my pack just in case even on sunny days. TNF Free Thinker Jacket is designed for big mountain skiing and riding. 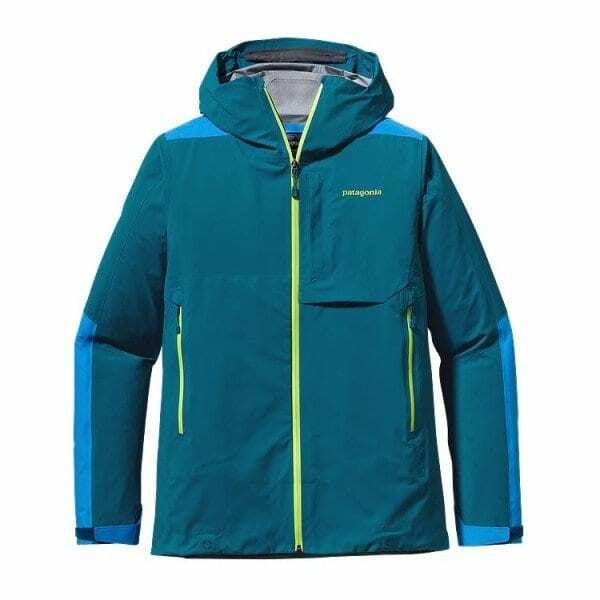 As a result, the jacket features a looser fit in the body, which means that it can easily be layered with insulating layers and doesn’t restrict your movement. 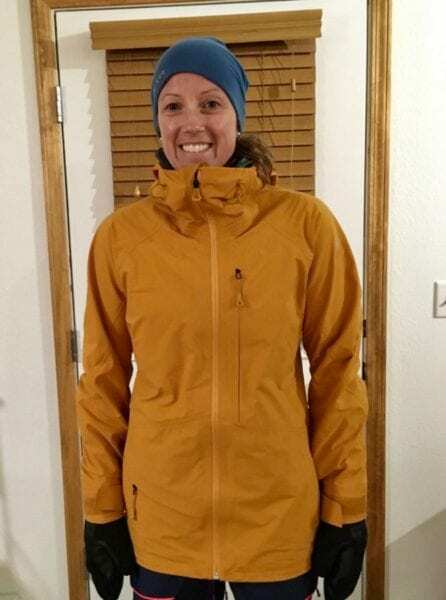 The jacket is available in size XS to XL and I tested my typical size in TNF, medium, and found that the jacket ran true to size when taking the relaxed fit design into account. 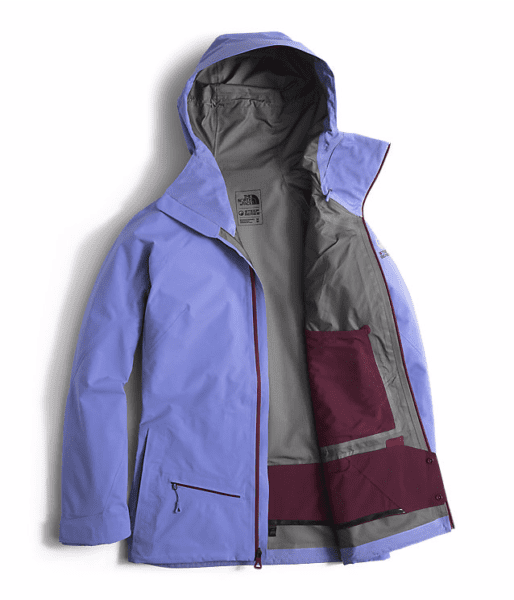 TNF Free Thinker Jacket layered over a base layer, mid layer, and a Patagonia Nano Puff with some room to spare. The Free Thinker Jacket features a center back length of 29″, which means that your rear is well covered. 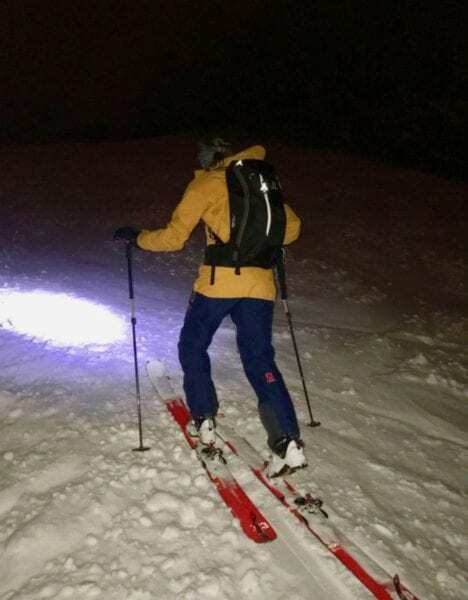 TNF has also included 3 clips along the bottom of the powder skirt to clip into the waistband of your ski pants to prevent snow from getting where it shouldn’t. 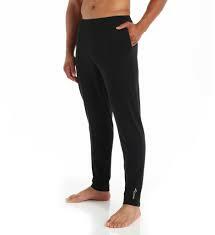 The sleeve length is also generous and measures 27″ from the top of the shoulder to the cuff. The added length helps to keep your cuffs covering your wrist without exposing your skin. The cuffs are wide enough to go over your mitten or glove and can be easily adjusted with one hand. The cuffs can be anchored over your mitts by using the sneaky thumb loop over your mitten. This feature is unlike many of the other thumb-loop designs on the market that are integrated under the cuff; the simple design makes sense but was a hard feature for me to use with my burly down mittens. I tested TNF Free Thinker Jacket in Citrine Yellow. I loved deep gold color as it is easy to find in a crowd and different from the many purple and turquoise jackets. If yellow gold isn’t your color, you can also pick up the jacket in Stellar blue, which looks like periwinkle online. Note the adjustable hem and pull tie at the rear of the hood. Overall, The North Face Free Thinker Jacket has been an amazing addition for all weather conditions. My only complaint with this jacket is the price point of $599. Granted, the jacket is packed with features and will last many seasons and years to come, but the price will likely be unattainable for many.